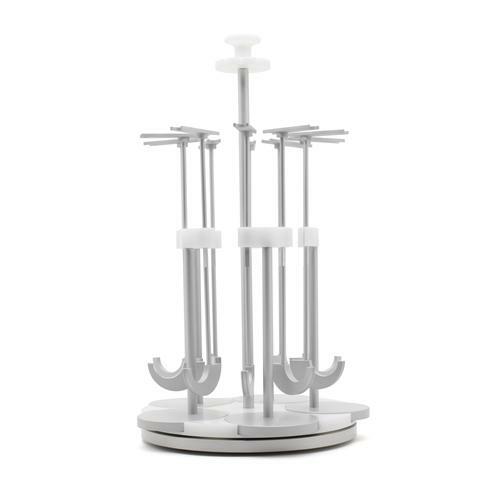 The U-CUP rack is made of anodized aluiminium and has been specifically designed to provide long-term stability during operation in an incubator environment for cell culture. It allows good visibility and easy access of all bioreactors mounted on the rack. It allows for an efficient organisation of the bioreactors and particularly of tubes going from the syringe pump to the single U-CUP disposable bioreactor kits. It makes a compact and safe arrangement, and if required, easy transportation of the U-CUP disposable bioreactor kits from one place to another. 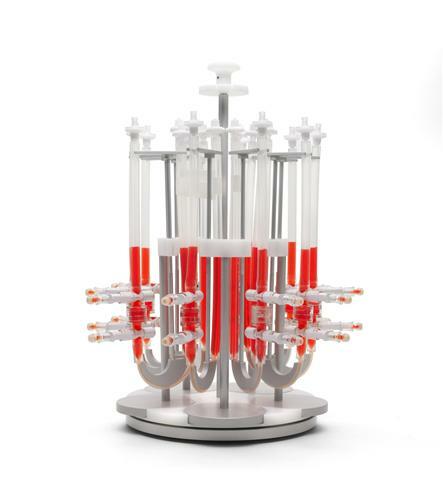 In summary, with such a rack a particularly comfortable and efficient correct handling of multiple bioreactors requiring comparably few space is provided.